To send a bouquet through Facebook, you first need a valid Facebook account. 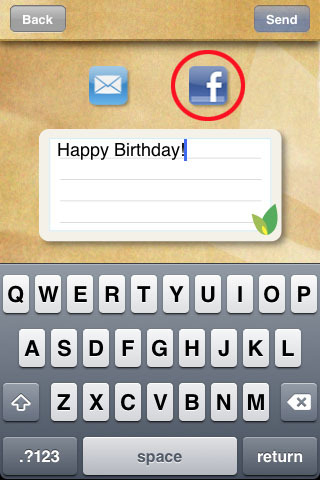 Once you have it, create a bouquet, and tap on the tag to write a message. Now press the Facebook button above the tag. After you press the Facebook button, you have the option to pick a Facebook friend to send the bouquet to. However, if you haven’t logged in to Facebook before (or in a long time), when you press the friend selection, it will go to the Facebook login mode (either on the Facebook web site, or on the Facebook app if you have it installed). 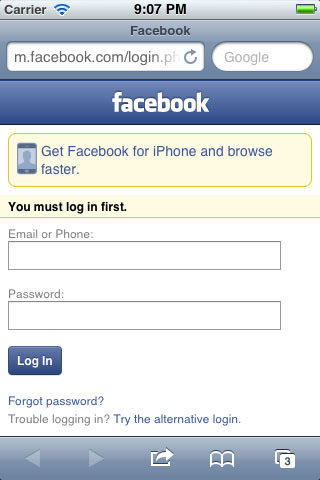 Log in to Facebook as usual with your username and password. 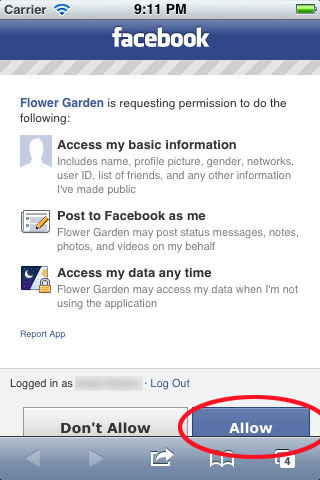 The screen you see will depend on whether you have used Flower Garden on Facebook before or not. 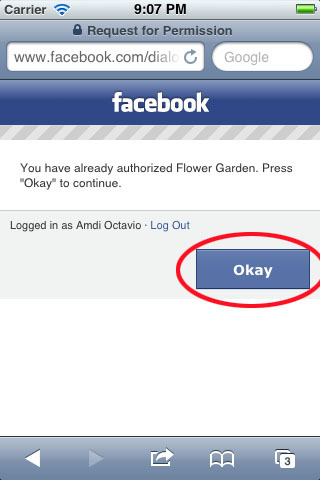 If you never send a bouquet on Facebook before, you’ll get a screen asking you to confirm you want to give Flower Garden access to sending a bouquet. Press the allow button. If you’ve used Facebook before, then you’ll see a screen like this. Press the OKay button. Once you press that button, it will send you back to Flower Garden. 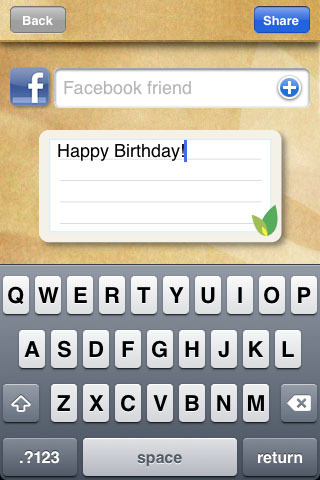 Now you can tap on the Facebook friend select, pick your friend, and press the Share button. At this point, you also have the option to post the bouquet to your stream in addition to your friend’s stream. Note: You must have only one version of Flower Garden (either Flower Garden or Flower Garden Free) installed to send bouquets through Facebook. If you have both installed, Facebook might launch the wrong one after the login.